texas prisons | Out of the Box! Austin H. MacCormick was influential figure in the field of Criminal Justice and the Texas prison system. MacCormick held such positions as as Executive Officer of the U.S. 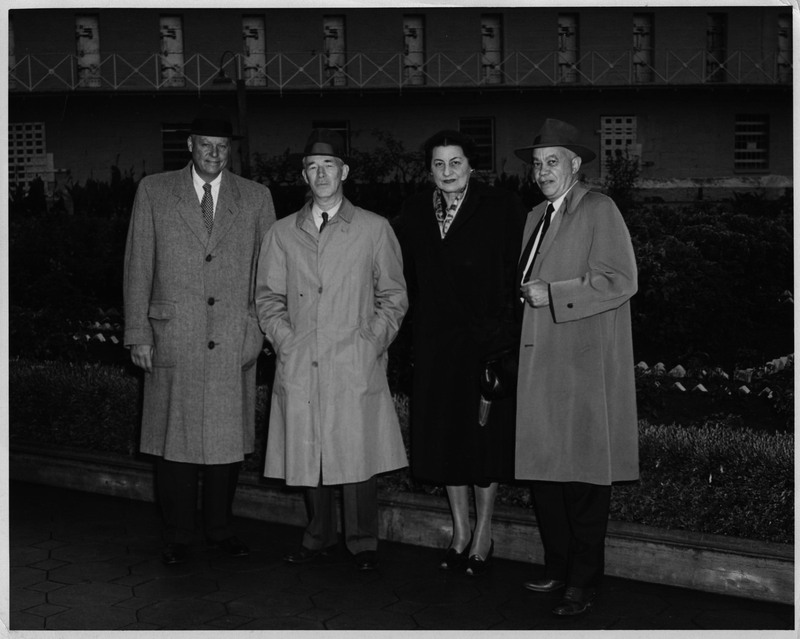 Naval Prison, Assistant Director of the U.S. Bureau of Prisons, Professor and Dean of Criminology at Berkeley, and Director of the Osborne Association of New York. 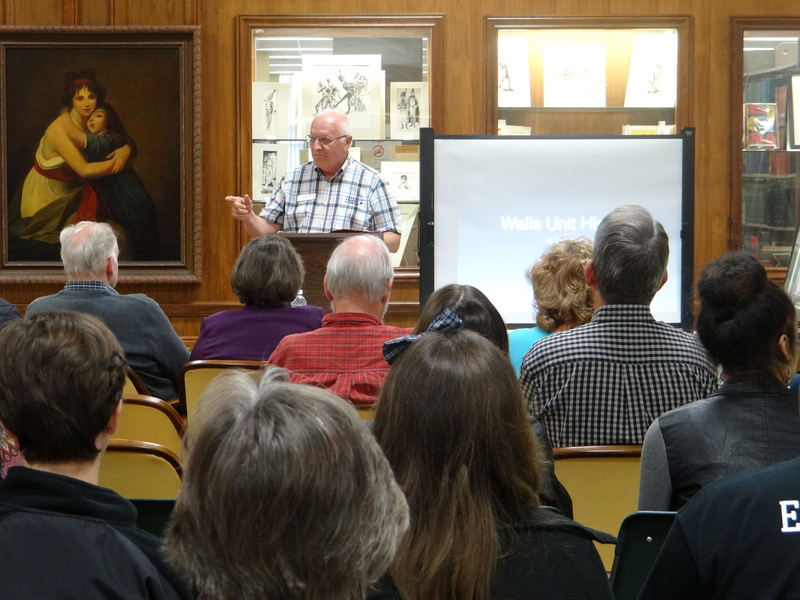 His impact on Texas prisons came as a result of his surveys of state prison systems in the southern states. His first survey in 1944 of the Texas Prison System exposed harsh conditions and practices of the prison farms. By 1947, the prison conditions in Texas had continued to decline and MacCormick made his findings public which created a demand for corrective action. With a directive from Governor T.C. Jester and under the leadership of Prison Director O.B. Ellis, Texas Prisons instigated comprehensive reforms that made Texas one of the top three prison systems in the country. The Austin H. MacCormick Papers (1923-1978; eight boxes) consist of documents, reports, brochures, and correspondence concerning Austin H. MacCormick throughout his career as one of the nation’s most influential criminologists and prison reformers. The documents, brochures, and correspondence portray Austin H. MacCormick’s personal life and career as influential figure in federal and state prison reform and his work with adult and juvenile prisons throughout the nation. Some of the many subjects include: state and federal prison conditions, prison reformation, juvenile detention centers, probation, parole, correctional standards and staff training. The collection includes over twenty five individual state correctional system reports conducted by Austin H. MacCormick and other criminologists of the time. In February of 1960, David Ruiz was sentenced to 12 years in the Texas Department of corrections for robbery and automobile theft. Ruiz was a career criminal in Texas and spent all but four years of his adult life incarcerated. In 1972, Ruiz filed a federal lawsuit about the working and living conditions in Texas Prisons. The lawsuit was combined with several other prison cases by Judge William Wayne Justice into a class action lawsuit against the Texas Department of Corrections. Titled Ruiz v. Estelle, the case led to extensive changes to the Texas Department of Corrections management of the prisoners under its supervision. Texas was ordered to diminish overcrowding, improve recreation and rehabilitation programs, and amend prison policies and procedures to improve the welfare of Texas inmates. 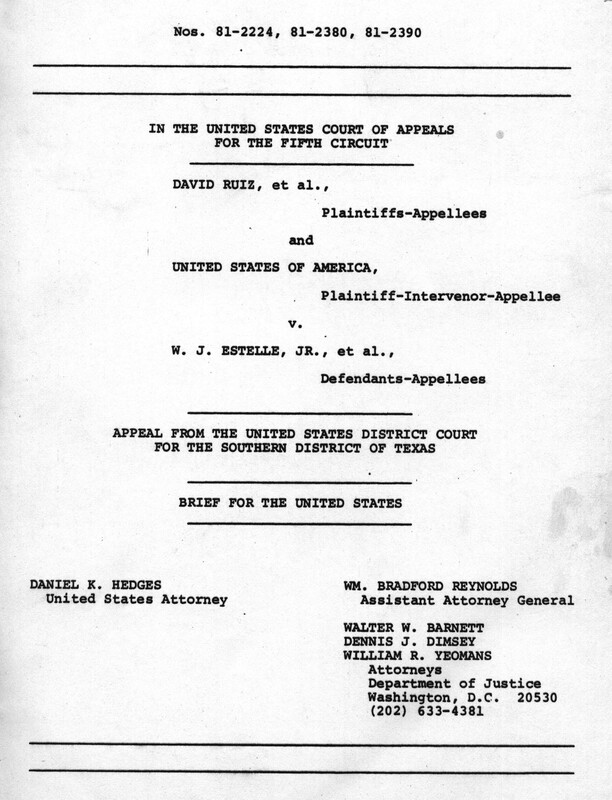 The Ruiz v. Estelle collection (1976-1982; five boxes) consists of legal documents, briefs, and memorandums concerning the class action lawsuit against the Texas Department of Corrections entitled Ruiz v. Estelle. The collection also includes materials from the case Guajardo v. Estelle. 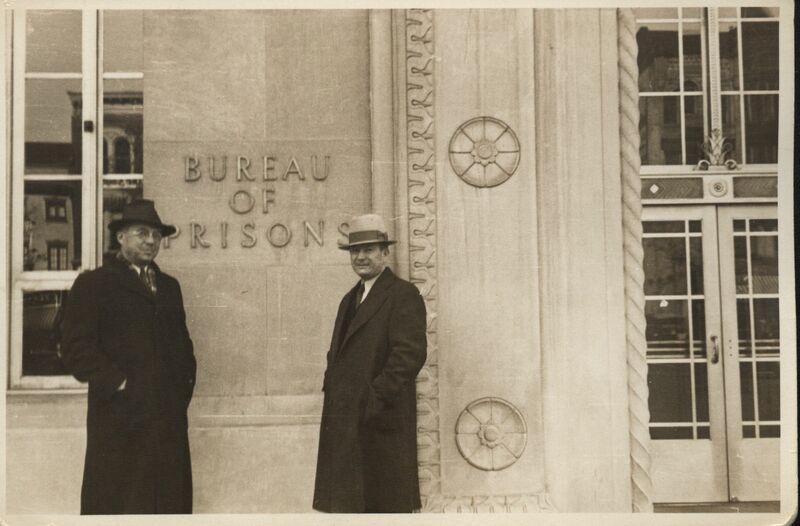 Sanford Bates (on left) outside the Bureau of Prisons. Sanford Bates had a storied career in the field of law and criminal justice. He was practicing lawyer in Boston, member of the Massachusetts Legislature and Senate, first Massachusetts Department of Corrections Commissioner, and first Director of the Federal Bureau of Prisons. Sanford Bates also served as the Executive Director of the Boys Clubs of America, New York State Parole Commissioner, and Commissioner of Institutions and Agencies for the State of New Jersey. Sanford Bates was involved with the United Nations and other international commissions during the later years of his life. The Sanford Bates Collection (1906-1972; forty one boxes) consist of documents, reports, brochures, and correspondence concerning Sanford Bates throughout his career as one of the country’s most influential criminologists and prison administrators. His contributions to prisoner rehabilitation were vast and the collection includes many of his progressive papers. Some of the many subjects include: state and federal prison administration, juvenile delinquency, probation, parole, correctional standards and staff training. Along with the publications by Sanford Bates, the collection holds articles by many significant criminologists of the time, criminal justice newsletters and articles, and Bates’ personal library of books.